This listing is for the rug hooking PATTERN "Crestview Cottage". This is for the pattern ONLY and not for the finished rug. 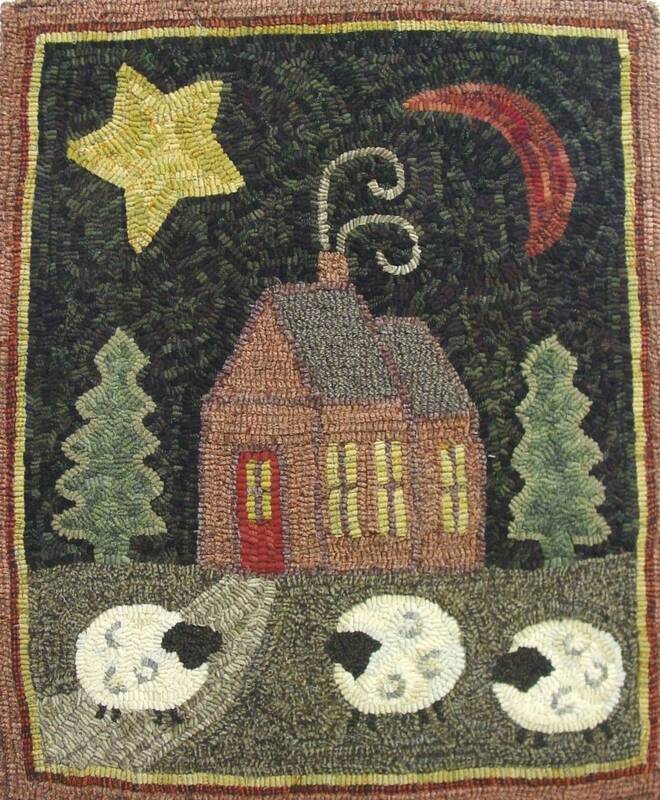 From my collection of hooked rug designs, it features some of my favorite motifs: sheep, houses, pine trees, moon and stars. It is great for beginning rug hookers and veterans alike. This simple folk art pastoral scene will add a touch of warmth and whimsy to your home. 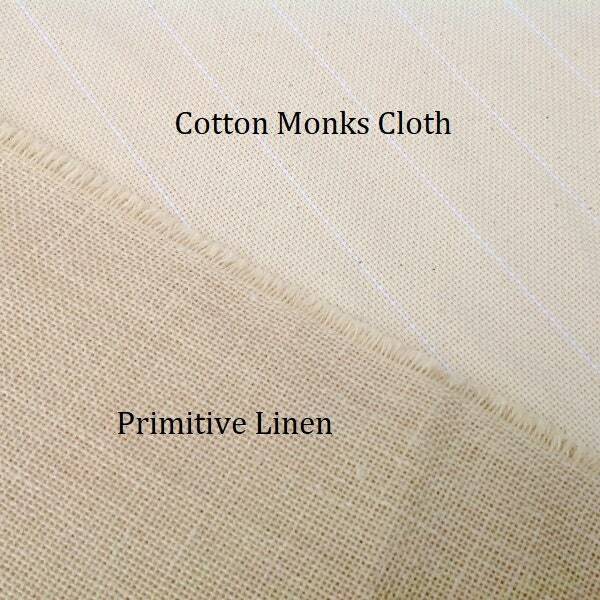 The design is 20" x 24" and is hand drawn on your choice of primitive linen or monks cloth. Primitive Linen is great for wide cuts of rug hooking, #8 (1/4" strips) and wider. Cotton monks cloth is great for all cuts of rug hooking. Care has been taken to draw all straight lines on the grain line so that your rug will finish square. The border is at least 4" to fit over most rug hooking frames. The raw edges of the backing fabric has been serged to prevent raveling while hooking. © Mary Johnson. This and all patterns designed by me are copyrighted and may not be duplicated. Purchase of this pattern gives you rights to hook for one time personal use. Thank you for supporting my small business by your purchases and by respecting copyrights.